Windows XP SP2, as released in 2004. Internet Explorer 6, the most hated browser in the world, which even Microsoft thinks should be long dead. 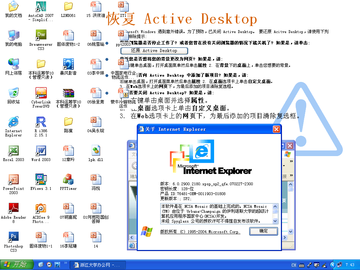 Old school Active Desktop, long-since retired. Acrobat Reader 8, from 2006 and three versions out of date. MS Office 2003, three versions out of ate. Adobe CS3 from 2007, three versions out of date. It looks like there are four distinct viral infections on the key. My best guess is that they imaged the machines when they installed them, possibly when the building was built. Since then, everyone has logged in as an administrator (one installing his own version of R, which explains the one piece of new software), and whatever has happened has happened. Even though there is a learning technology office 20 metres from the classroom, they can’t seem to be bothered with the computers. 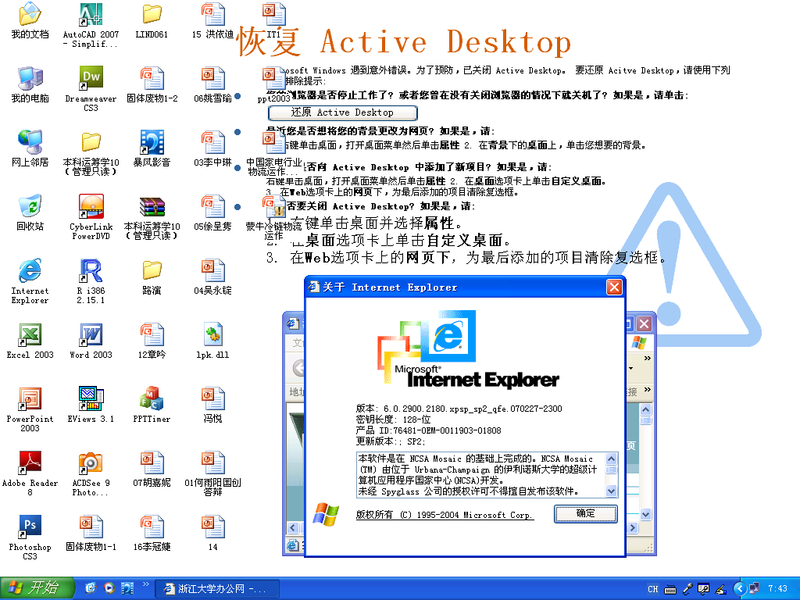 So why does IE6 have such a huge market share in China? There is a Chinese expression “随遇而安” which Google translates as “go with the flow”. I blame too much 随遇而安.